Join in! Learn! Have fun! Although we beekeepers are an independent lot, we also know that we do best when we can share our experiences and learn from others. Following are some ways to connect and become part of the beekeeping community. 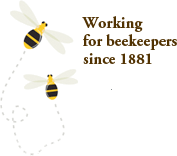 Find a local bee club near you. If you reside in Ontario you can purchase an OBA membership and receive the OBJ (Ontario Bee Journal) by-monthly. If you do not reside in Ontario you cannot purchase a membership however you may purchase an OBJ subscription independently (it does not include access to online archives or to pdf version which are member benefits). A list of upcoming meetings and events. A list of upcoming OBA/TTP workshops and courses.